Ko Kret is one of the Mon people's surviving settlement that boasts an illustrious culture. Here is a little known fact: prior to the arrival of the Thai people, the Mon people ruled the Chao Phraya Valley. They are believed to be one of the earliest peoples of Indochina. They founded a number of early civilizations in present-day Thailand but were gradually defeated in a succession of wars. Over time, they virtually disappeared as a power in the Chao Phraya Valley. During unstable times in the 1800s, the Mon were welcomed to settle in Siam. They soon integrated into themselves into Siamese society and formed their own settlements, which today includes a favorite day trip destination in Bangkok: Ko Kret. Ko Kret is an island that was formed in 1722 when a canal was dug to bypass a meander in the Chao Phraya River. Today, there are no major roads on the island and as such, there are no cars. The air is fresher, which befits its rural feel. Its greenery marks a start contrast from the concrete of Bangkok. Once you get there, look around and you will find that much of the Mon culture has survived in many forms on the island. 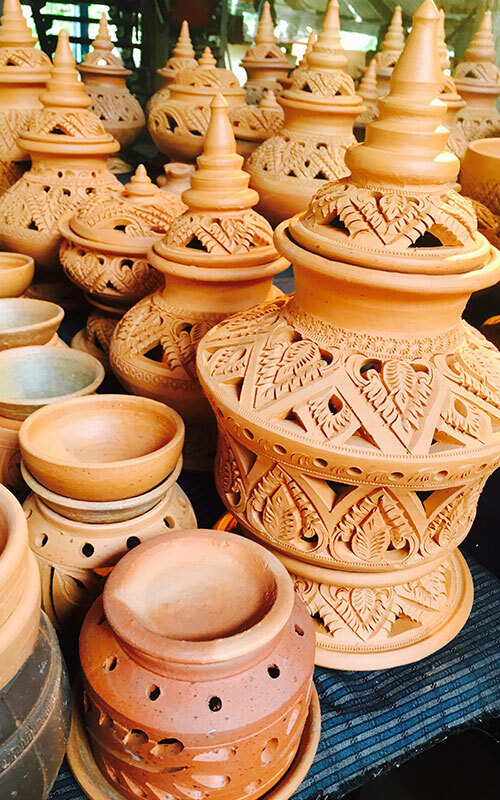 One can find many stalls selling famous Mon foods and earthen clay pottery, which displays their famed artistry. The island is also well known for being a pilgrimage site for the descendants of Mon. In particular, the island’s largest temple, Wat Poramaiyikawas, is where visitors would attend ceremonies in which resident monks chant in the Mon language. Even many of the scriptures are written in Mon. 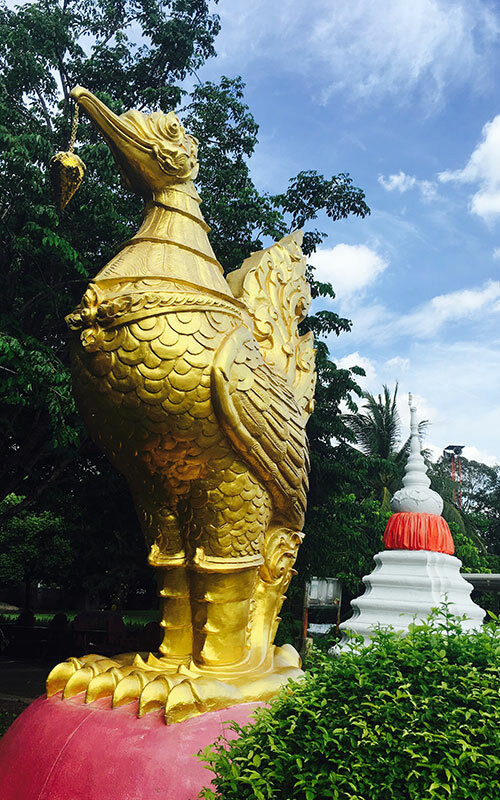 Ko Kret’s most recognizable landmark, a leaning 10 meter Mon-style chedi is visible as you approach the island. 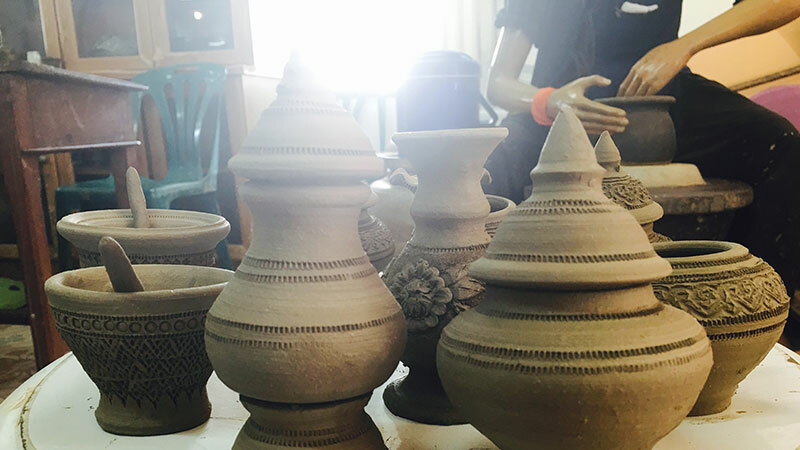 A day spent in Ko Kret is not only a respite for your body, but also a feast for your cultural needs.